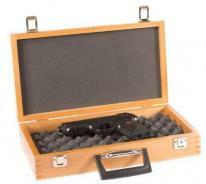 Featured on this page are a few of our most popular men's jewelry boxes and valet trays. 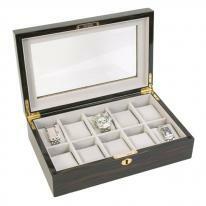 Choose from our best selling mens jewelry boxes, watch cases and valet trays in handsome designs, exclusively for men. These boxes off a stylish storage solution for mens watches, keys, coins, cufflinks and electronic accessories. Questions on a mens jewelry valet box? We welcome your call or email. All mens jewelry and valet boxes qualify for 30 day easy returns and 1 yr. product warranties.